So was the Maya Calender more precise than the one we use today? Were they better time keepers? If so, would that add validity to their claims and prophecy? But what prophecy are you referring to? The whole premise around today being a significant day to the Maya was that their calendar was going to reach 13.0.0.0.0 today. It’s going to roll over like the odometer in your car and keep on going, hopefully. If we are dealt some end today, it’s not going to be because of something the Maya predicted or said or left behind. Besides, if the world was going to end according to all the hubbub, it would have happened at 6:11 a.m. EST or 11:11 UTC this morning…. 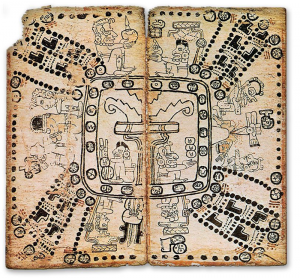 about three hours ago now and we’re all still here…..
We invite you to learn more about the Maya by checking our Dr. Van Stone’s book for iPad–2012: Science & Prophecy of the Ancient Maya. It has tons more information in it about these amazing and fascinating people. You’ll really get a good education about those whole 2012 meme. In today’s post and video, Dr. Jaime Awe, director of the Belize Institute of Archaeology, discusses one of the most heated theories in archaeology. As we approach the last five days before Dec. 21, 2012, we want to get further away from the nonsense about what is going to happen and talk about some of the important things that actually did so that we as a society all can learn from this experience, not be frightened by it. Part of our additional concern is that because of all the hype that’s been generated about Dec. 21, 2012, people are going to thumb their noses at hearing the important messages here–that there also are some important lessons we should be learning from the Maya. Watch Dr. Awe, and then go to MVS2012.c0m and check out our book for iPad. Dr. Awe, Dr. Mark Van Stone and 13 other Maya scholars from around the world are in our one-of-a-kind book for iPad that will help educate you, your children or anyone you may know still worried about the next five days that there is little to fear, and much to learn about a very incredibly developed and fascinating people whose civilization rose to great power and then collapsed into the jungles of Mesoamerica to largely be forgotten about over time. Maryland Senior Lecturer John B. Carlson is the feature of our Maya Myth Moment today as he discusses the knowledge the Maya had of the movement of the planets, the earth and cyclic time. He also discusses the aspects of how much of the Maya knowledge we still have today and estimates of how much has been lost to the ages. Part of the problem that’s stirred the Maya Meme is the fact that so much information IS missing. And in the absence of such, that’s when the opportunity exists to fill in and make up information to fill in the gaps. That’s what leads to wild stories of doomsday predictions and bliss outs in just six more days…. Dr. John Hoopes from the University of Kansas is celebrating a birthday today, but he’s also the subject of our Maya Myth Moment and talking about what might happen on Dec. 21, 2012 because there is so much hype and anticipation that’s been built up about the upcoming day. We have used these past days to help educate the public that there is little to fear in relation to the coming December Solstice as it relates to the ancient Maya. Are your kids hearing you talk about the doomsday prophecies and in turn, scaring your kids about it? What predictions are you making for the day? What preparations have you made? Are you making any preparations? Oh, and don’t forget to wish Dr. Hoopes a happy birthday! Maya Myth Moment–Where Did The Maya Go? 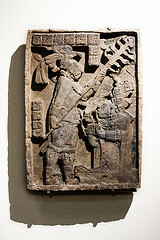 There has been so much written about the Maya and the 2012 prophecy. True Maya scholars, like the 15 we have worked with to put together Dr. Mark Van Stone’s 2012: Science & Prophecy of the Ancient Maya as a book for the iPad, are attempting to use this interest in focusing attention on who the true Maya peoplereally were, and even still are today. 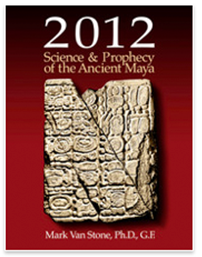 2012: Science & Prophecy of the Ancient Maya by Dr. Mark Van Stone. Today’s Maya Myth Moment features a brief excerpt of Dr. Van Stone explaining what happened to the ancient Maya and really sets up a question we all should be asking ourselves–Are we making some of the same mistakes that led to the demise of the Maya? We encourage you to check out Dr. Van Stone’s book for iPad. It’s the only one like it in the world, filled with 53 informative videos from 15 Maya scholars. The book also includes more than 200 photos, diagrams and illustrations that help explain Maya writings, art and architecture. And all for only $14.99. Visit MVS2012.com for more information. Do You Have A Child Or Family Member Worried About Maya Calendar Ending? In today’s Maya Myth Moment, we are sharing with you an outtake from our two-day marathon of interviews with Dr. Mark Van Stone and 12 other Maya Scholars while we were on location in Memphis for the Society of American Archaeologymeeting in Memphis in April, 2012. 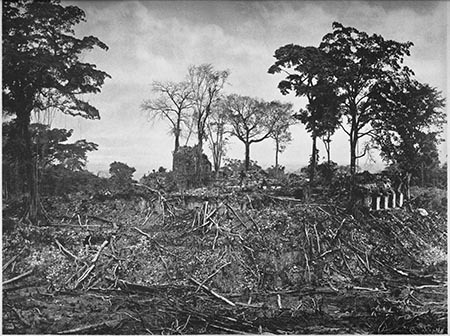 This is one of the many Justin Kerr photos of Bolon Yokte and other Maya lore Dr. Van Stone used in his book for iPad, 2012: Science & Prophecy of the Ancient Maya. Much has been written and frankly made up about what is supposed to happen on Dec. 21, 2012. Well here are some actual facts about what was predicted for that day. 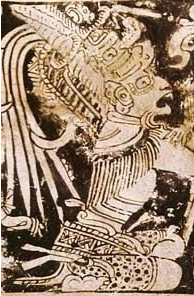 Essentially, Bolon Yokte, a Maya god, is supposed to reappear on earth. What’s he going to do when he gets here? We’ll let Dr. Van Stone explain that. So much has been spun about a Galactic Alignment on Dec. 21, 2012. Dr. Van Stone will talk about that, too. We endeavored for more than one half of the year to take Dr. Van Stone’s original 2010-published text book 2012: Science & Prophecy of the Ancient Maya and turn it into an exciting book for iPad. The book now is available for $14.99 on the iBookstore. 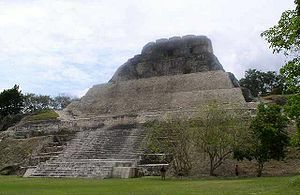 In it are 53 videos of 15 world-renowned Maya scholars explaining about these fascinating and real people who inhabited Mesoamerica so many years ago. A people who modern snake oil salesmen, fortune tellers and New Agers have added so much nonsense to, it’s almost difficult to get to what they really said. Another difficulty is that so much of the Maya civilization remains buried in the jungles of Mesoamerica awaiting discovery. Our book for iPad, produced by our parent company, Claxton Creative, LLC, is the only resource like it in the world on the subject of the Maya and Dec 21 2012 facts. We invite you to check it out today. You can even download a special sample of it, which now includes some of the 3D imagery of the Rio Azul Masks. It’s very, very cool and a good read for those of any age. Get your copy of 2012: Science & Prophecy of the Ancient Maya today and sleep better no longer worrying about what’s going to happen tomorrow–at least according to the Maya…. Maya Myth Moment–Mayan Prophecy; Is Prophecy The Right Word? From this video excerpt in Dr. Mark Van Stone’s book for iPad, 2012: Science & Prophecy of the Ancient Maya, independent scholar, Dr. Barb MacLeod of Austin, Texas, talks about the meaning of the word “Prophecy.” As in, should we be referring to what the may left behind carved in rocks across Mesoamerica more than 1,000 years ago as “prophecy” at all. Her point is if you say that tomorrow you’re going to go shopping, is that a prophecy? The answer would be no. Want to know more about the Maya than you’re seeing on TV and the Web? Visit MVS2012.com today and buy this amazing book for iPad. Her point is if you have some divine input to see some ordained event in the future, that’s a little more like it. So if the Maya wrote that at 13.0.0.0.0., the end of their calendar that the enigmatic god, Bolon Yokte was going to come down and put on a costume, is that really a prophecy or just a prediction of an event like tomorrow you’re going shopping? Now’s the time to download Dr. Van Stone’s book for iPad off the iBookstore. 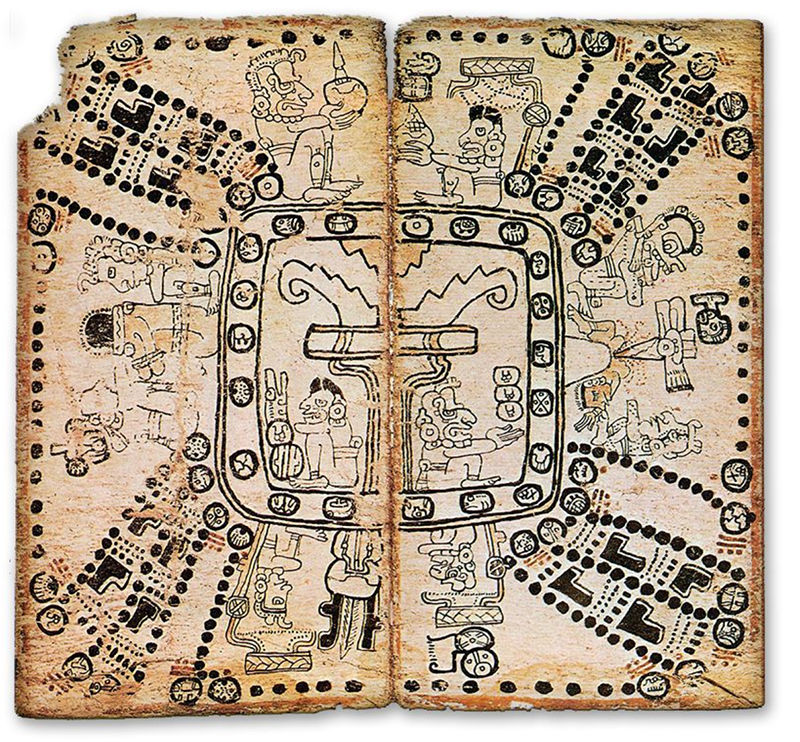 This amazing book has videos like the one below from 15 Maya scholars, 4 3D animations and hundreds of interactive photographs, charts and information that you can’t find anywhere else in the world in any other medium. Visit MVS2012.com today and get the book for only $14.99 and know more than your friends, family and anyone else about why you need not be worried about Dec. 21, and instead, amazed at the sophistication of the ancient Maya. Recent Discovery of Ancient Mayan Tomb Holds New Clues to Mayan Prophecies. Doomsday 2012: Do You Believe It?